Door linings are fitted to the inside of a door way, to cover the unsightly internal structure of the wall. Our MDF door linings are very customisable. If you are struggling to understand which dimension refers to which face of the lining, then this guide should help you out. 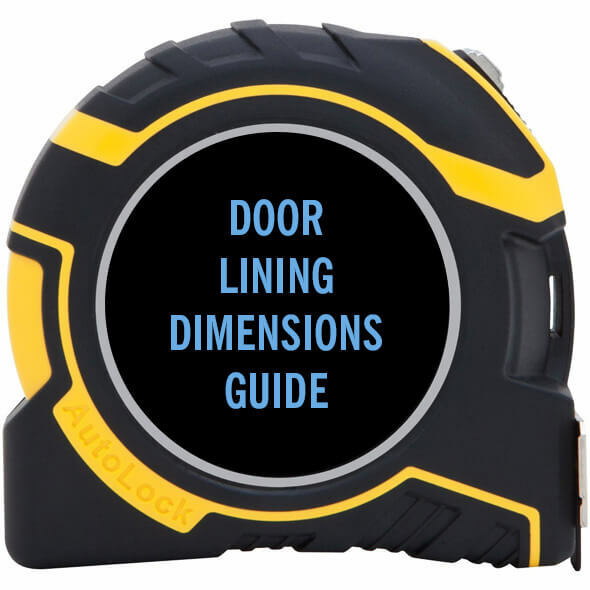 Door linings have several dimensions; height, width, depth and thickness. Height, width and thickness won't need to be specified as our standard size should cover a standard imperial doorway. Height: This is how high, or far up, each length of the lining will reach. 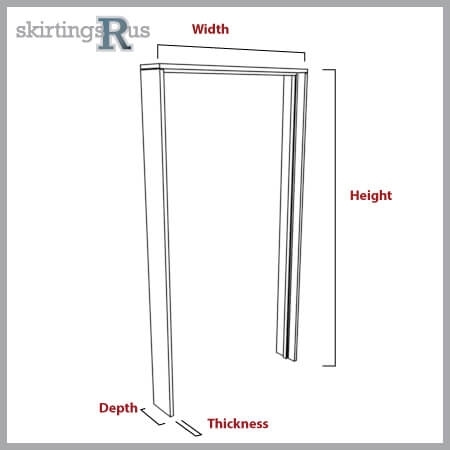 Measure the height of your doorway to find out how high your door lining needs to be. Height doesn't need to be specified on this product, as we supply lengths (2.040mm H) to suit standard height doors. Width: This is how wide the door lining will be when errected, and corresponds to the top piece of the doorlining, which will run from the left to the right of your doorway. The width does not need to be specified on this product, as we supply an 864mm, which can be adjusted to suit smaller sizes if neccessary. Thickness: This is how thick the board will be. This is measured from the wall outwards. We only offer 25mm board thickness in this product, so again it does not need to be specified. Depth: This is how deep your lining needs to be. This is basically how thick your wall is, from one side through to the other side. This can be specified from five different sizes.